This gin mug is decorated with the slogan It’s Not a Sin To Prefer Gin. 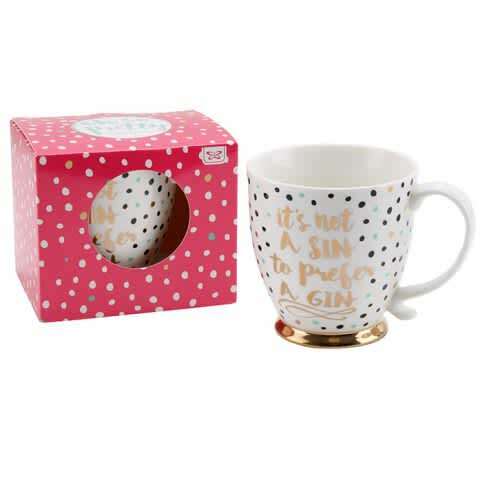 It is adorned with black, blue and pink spots that perfectly complement the gold trim on the bottom of the mug. Source in London, United Kingdom.